One of the great things about CFL is the that the majority of players are down to earth people. Players are very accessible to fans of the league, and in several cases I know of fans have become good friends of players in their cities. Many American born players end up staying in Canada after their playing days are done, making this country their new home. Others contribute in other ways, and for BC Lions cornerback Dante Marsh he’s trying to help in the community. 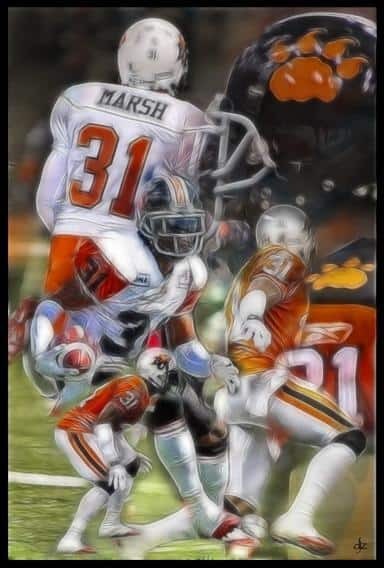 Marsh recently put a rare canvas print up for auction on Ebay, the proceeds of which will be donated to CFL Fans Fight Cancer, an effort this site has been involved with for several years now. Nobody asked Dante to do this, it came out of the blue and it shows what type of person you find so often amongst CFL players. 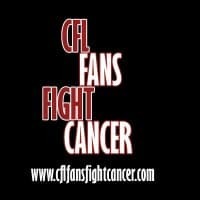 All of us at CFL Fans Fight Cancer wish to thank Dante for his generosity and support of our cause. Up for auction is this 16×20 painting of Dante in action for the BC Lions. This is one of 2 ever made and on canvas with a wood framing. Dante has signed the painting with silver sharpie. Proceeds from this auction will go to benefit CFL Fans Fight Cancer. Visit DanteMarsh.com for more information about Dante.